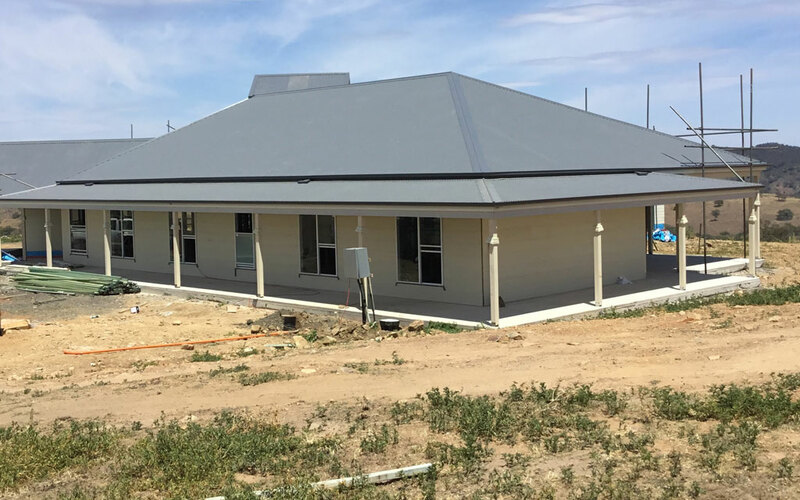 Australian owned, manufactured and backed by a 30 year guarantee*, Lindfield Group manufacture all their own gutter, fascia and custom flashings and stock a range of downpipes and roofing iron. From measure, manufacture to install the team at Lindfield Group can get your roofing project done. With their own scissor lifts, boom lifts and scaffolding you are guaranteed that there will be no down time. Lindfield Group can supply all the materials you need for your next roofing project, a complete one stop shop offering an unbeatable 24 hour turnaround from the time of ordering to onsite delivery – subject to location. Nu-Line is a gutter and fascia in one. It is a gutter designed for direct installation to roof rafters, without the use of timber fascia. Also known as fascia gutter or eaves gutter. Mini-Line is a smaller version of Nu-Line Gutter, it has a similar front profile with a flat back to fit flush to the fascia using concealed or external brackets. Mini-line rainwater capacity is approximately 20% more than 115mm Quad Gutter and with overflows designed in the front of Mini-Line makes it ideal for heavy rainfall areas. Half Round is a European style gutter with a semicircular design that is supported by external brackets. With a 150mm diameter it has a greater water capacity and the speed of the water travel is greater than a conventional gutter allowing to clear debris and silt. The great advantage of having this cylindrical design is that it has a self cleaning feature. Roundline is a cylindrical designed gutter with a flat back and no external brackets. It is a European style gutter with a 150mm diameter and self cleaning feature. Quad is a traditional high front quadrant gutter used on colonial style houses and is very popular on new home construction. It is a slotted gutter with overflow holes and a 115mm diameter. Square-line gutter is a square front gutter that is slotted and needs to be folded around corners, eliminating the use of external angles and fixed with concealed brackets. Ideal for garages and carports with overflow holes designed in the front. Old-Style Quad has a lower front than Quad and no overflow holes. Steel Fascia is commonly used on new houses instead of timber fascia board. The advantage of Steel Fascia is that it requires minimal maintenance, no painting and is more economical than timber fascia. Barge Soaker is used as a clever and attractive way to flash and weatherproof gables. Fascia Cover is designed to go over your existing fascia boards. The advantage of this system is that it can cover faded and rotting fascia and eliminate the need to maintain and paint your fascia boards.Fascia Cover also exhibits the same profile as Steel Fascia thus it can be used to cover the existing timber boards to match up to an extension or new top storey addition where steel fascia has been used. Valley is ribbed and is available in the three most popular roofing colours black, grey and red. The Lindfield Group is proud to introduce to the Australian rainwater products industry DURAKOTE®. DURAKOTE® is a painted steel product that has been designed specially for the rainwater products industry. DURAKOTE® is a highly durable painted steel product offering superior corrosion resistance, allowing it to withstand Australia’s harsh weather conditions. DURAKOTE® is supported by a 20 year rainwater products warranty, covering gutter, fascia and downpipe. Severe Coastal and Industrial environments can have corrosive effects on buildings. That’s why The Lindfield Group now manufactures Premium rainwater products from DURAKOTE® Stainless Steel for the most severe coastal and industrial environments and DURAKOTE® Ultra Steel for less severe coastal and industrial environments. DURAKOTE® Stainless Steel and DURAKOTE® Ultra Steel are supported by a 12 year warranty. Lindfield Group supply and fit guttering, fascia, barge cover and downpipes. We also install custom box guttering, gutter guard and leafsceener. 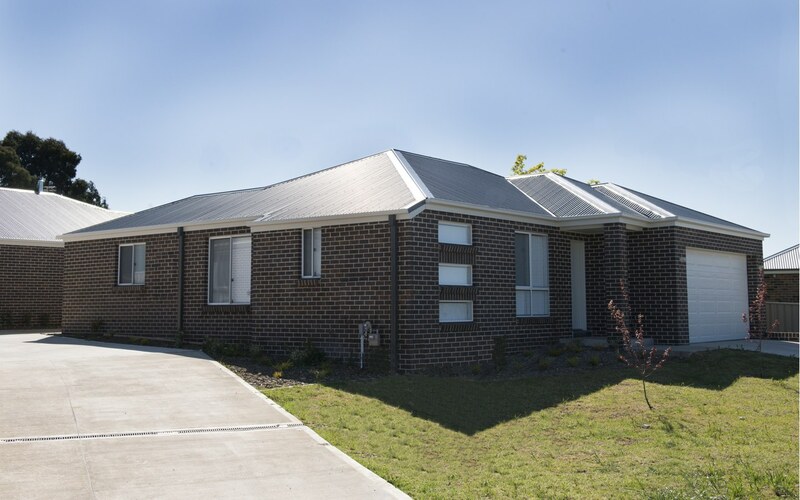 Lindfield Group provides the added convenience of co-ordinating your roof restoration and gutter installation through one company. Our guttering products are available in various profiles and colours to suit your requirements. Your guttering is measured and delivered on site ready for installation. If you were having your roof restored we would pressure clean your roof tiles prior to installation. This way your new gutters are left spotless during the roof restoration process. Your fascia cover, guttering and barge covers are now cut to size and installed by our qualified experienced roof plumbers. Fascia and barge cover are increasingly popular as it eliminates the need to repaint while also protecting the timber. We also have various gutter guard protection systems available. The last stage is to install the downpipes. They are fitted from the guttering to the stormwater or rainwater tanks. Once the gutter installation is complete the remainder of roof repairs and roof restoration takes place. Lindfield group were easy to deal with, were on time and did a great job. Very happy with all aspects of the project. I found Matt and the Lindfield Group to be very reliable. And they provided a high standard of service. I would recommend Lindfield Group to anyone who is considering any of their relevant services (and already have). The Lindfield Group have supplied and installed 10 roofs for houses I have built this year. They are a very professional organization and go above and beyond to ensure that the job is done correctly and done on time. I was impressed with the quality of products they are manufacturing and using and the warranty they offer gives peace of mind. You’re guys were on time, professional and friendly service. A great job well done, a very pleasant trio of guys led by Justin and greatly appreciated.